2. Scanning the Wireless Networks or Wifi Networks. 7. Security Measures to protect yourself from these attacks. Guys you must know everything that’s why i am explaining each and everything in this tutorials related to wireless networks or wifi hacking. Its a complete wireless network hacking tutorial with all hacking tools and how to use them. Using these you will came to know how to hack wifi or wireless networks and note guys this tutorial is 110% working like other one’s. Note: This article is only for Educational Purposes so that you can understand the loopholes in wireless networks and fix them. Any misuse can result in disastrous consequences like cyber crime. Scanning tools is needed to scan the wifi or wireless networks around you. First of all we need to scan all the wireless networks so that we can select the wireless network to hack. There are several wireless scanning tools but my favorite is NET STUMBLER. And for Mac operating systems is MacStumbler. a. NetStumbler for Windows operating systems. NetStumbler (also known as Network Stumbler) is a tool for Windows that facilitates detection of Wireless LANs using the 802.11b, 802.11a and 802.11g WLAN standards. It runs on Microsoft Windows 98 and above. A trimmed-down version called MiniStumbler is available for Windows CE. b. MacStumbler for Mac operating systems. MacStumbler is a small utility to emulate the functionality of projects like netstumbler, bsd-airtools, and kismet. It’s meant purely for educational or auditing purposes, although many people enjoy using these types of programs to check out how many WiFi (wireless) networks are in their area, usually known as “war driving”. MacStumbler only works with AirPort wireless cards, it does not (yet) work with any PCMCIA or USB wireless devices. c. Kismet for Windows and Linux. Kismet identifies networks by passively collecting packets and detecting standard named networks, detecting (and given time, decloaking) hidden networks, and infering the presence of nonbeaconing networks via data traffic. Kismet is an 802.11 layer2 wireless network detector, sniffer, and intrusion detection system. Kismet will work with any wireless card which supports raw monitoring (rfmon) mode, and (with appropriate hardware) can sniff 802.11b, 802.11a, 802.11g, and 802.11n traffic. Kismet also supports plugins which allow sniffing other media such as DECT. Redfang is an application that finds non-discoverable Bluetooth devices by brute-forcing the last six bytes of the device’s Bluetooth address and doing a read_remote_name(). THC-WarDrive is a tool for mapping your city for wavelan networks with a GPS device while you are driving a car or walking through the streets. THC-WarDrive is effective and flexible, a “must-download” for all wavelan nerds. Prismstumbler is software which finds 802.11 (WLAN) networks. It comes with an easy to use GTK2 frontend and is small enough to fit on a small portable system. 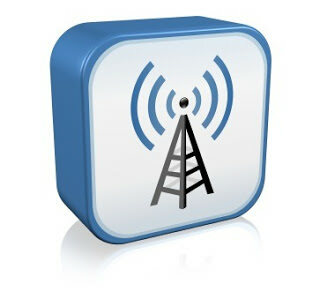 It is designed to be a flexible tool to find as much information about wireless LAN installations as possible. Because of its client-server architecture the scanner engine may be used for different frontends. Mognet is a free, open source wireless ethernet sniffer/analyzer written in Java. It is licensed under the GNU General Public License. It was designed with handheld devices like the iPaq in mind, but will run just as well on a desktop or laptop to find wireless networks. WaveStumbler is console based 802.11 network mapper for Linux. It reports the basic AP stuff like channel, WEP, ESSID, MAC etc. It has support for Hermes based cards (Compaq, Lucent/Agere, … ) It still in development but tends to be stable. It consist of a patch against the kernel driver, orinoco.c which makes it possible to send the scan command to the driver viathe /proc/hermes/ethX/cmds file. The answer is then sent back via a netlink socket. WaveStumbler listens to this socket and displays the output data on the console. StumbVerter is a standalone application which allows you to import Network Stumbler’s summary files into Microsoft’s MapPoint 2002 maps. The logged WAPs will be shown with small icons, their colour and shape relating to WEP mode and signal strength. Wireless Access Point Utilites for Unix – it’s a set of utilites to configure and monitor Wireless Access Points under Unix using SNMP protocol. Utilites knownly compiles and run under Linux, FreeBSD, NetBSD and AIX. SSIDsniff is a nifty tool to use when looking to discover access points and save captured traffic. Comes with a configure script and supports Cisco Aironet and random prism2 based cards. Wavemon is a ncurses based application for wireless hardware. It`s running currently under Linux with cards witch supported by Jean Tourrilhes wireless extensions. You will find them in the Kernel 2.4. I used this tool a few times, it`s small, works, opensource and good. Wireless Security Auditor allows network administrators to verify how secure a company’s wireless network is by executing an audit of accessible wireless networks. Featuring patent-pending cost-efficient GPU acceleration technologies, Elcomsoft Wireless Security Auditor attempts to recover the original WPA/WPA2 -PSK text passwords in order to test how secure your wireless environment is. AirTraf 1.0 is a wireless sniffer that can detect and determine exactly what is being transmitted over 802.11 wireless networks. This open-source program tracks and identifies legitimate and rogue access points, keeps performance statistics on a by-user and by-protocol basis, measures the signal strength of network components, and more. AirMagnet WiFi Analyzer is the industry “de-facto” tool for mobile auditing and troubleshooting enterprise Wi-Fi networks. AirMagnet WiFi Analyzer helps IT staff quickly solve end user issues while automatically detecting network security threats and other wireless network vulnerabilities. If you have any queries ask me ! hey lokesh i want to break my wifi password and i have lost the password so please help me find the password. Lokesh, what about part3? still waiting..
hey can we use blutooth devices to use wifi??????? which one is best for me …?